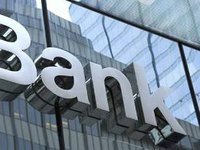 Ukrainian banks maintain positive expectations regarding the growth in lending to small and medium-sized enterprises (SME), as well as the population over the next 12 months, according to the report "Credit Conditions Survey" posted on the website of the National Bank of Ukraine (NBU). According to the central bank, 72% of the banks surveyed expect an increase in the corporate loan portfolio over the next 12 months, with the corresponding expectations remaining for the fifth consecutive quarter. The growth of household lending is expected by 67% of the polled banks, which is the highest percentage since the beginning of the survey in 2015. In addition, the banks have traditionally been optimistic about the further inflow of deposits from the public and businesses. According to the survey, the share of banks' approval of SMEs' loan applications has recently increased significantly, while three quarters of respondents in the fourth quarter of 2017 did not change the standards of corporate lending. The level of approval of applications for loans to the population, both mortgage and consumer, also increased. "In the opinion of the respondents, the main reason for the growth in lending is a reduction in rates. In addition, the banks' weakening of requirements for collateral contributed to this," the NBU website reported.